Co-Optimus reader rafoca comes through again with a great find of this Aliens: Colonial Marines preview from GamesRadar. The new Aliens game from Gearbox is penned by some veteran writers of film and TV, with credits like Battlestar Galactica under their belt, so you know there's an excellent story here. In fact, throughout the single player campaign the player will take the role of one of six space marines and their perspective on the post Alien 3 events. Gearbox is famous for their Brothers in Arms series, and Aliens: Colonial Marines is said to borrow heavily from it. It's a lot more tactical in some sense, but it also makes gameplay much more team oriented. 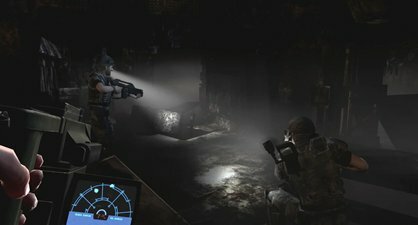 And with anything team oriented comes co-op play, Aliens is no exception. You can not only set up turrets but use technicians to hack and lock or weld doors, order your team to push tables and cabinets against windows, and set up strike teams to cover weak areas of a room. You can even set booby traps to cover air vents if your explosives guy is still alive. The pulse rifles feature a ticking ammo level, Hicks’ Remington shotgun is here for close quarter escapes and the Smart Guns, as carried by Vasquez and Drake, make a welcome appearance. Featuring full 4 player drop-in/drop-out play this game is one we are anxiously awaiting. According to a recent Sega press release, Aliens is set to drop in Q1 of this year. So we won't be waiting too much longer.